Getting into yoga is not nearly as difficult as you think it is – the hardest part is really just motivating yourself to get up and go to a class, but trust me, it is worth it! Yoga has so many benefits; it not only strengthens and stretches the body, but it also teaches stillness, releases stress, and if you allow it to, it can turn into a beautiful journey to connecting with your spirit. Ideal for beginners who swear they are “like not flexible at all,” and want to learn to relax. This is the type of yoga I first began with, and I really enjoyed how relaxing it is. It is a gentle practice that really helped me develop a deep understanding of my body while easing me into yoga. Hatha focuses on flowing slowly from one pose to another while developing flexibility and balance and working on deep breathing. If you know you’re really bad at staying still, this is not the type of yoga for you; however, I suggest you work on meditating five minutes a day so you can begin to become more comfortable with stillness. Ideal for people who like precision and using props. Although I received my RYT 200 certificate in Iyengar Yoga it is not my favorite type of yoga because it is very rigid; however, I do love is that it teaches a very strong foundation and really focuses on how to do the poses right. Really listen to the instructor! You might get a little annoyed with how much adjusting they do, but they know what they’re talking about, so embrace the corrections. Ideal for people craving yoga with a cardio vibe and want to flow from pose to pose. I love Vinyasa because you’re in constant motion. It takes endurance, and through connecting your breath to each movement you learn to really let go. However, if you’re not someone active or don’t really enjoy working out, I would not begin with Vinyasa because you will definitely sweat. Really focus on linking each breath to each movement – the more you focus on that connection, the greater your yoga high will be. Ideal for people who want to sweat, like a specific routine, and don’t mind being in a hot room. Bikram is not for everyone – it is systematic hot yoga. You do the same 26 poses and breathing exercises throughout each class, and the room is heated to 95-110 degrees. I enjoyed the consistency of Bikram, but it’s not my favorite type. Also, not all hot yoga is Bikram, so if you crave heat, look for other types of hot classes. Bring a towel to place over your mat because you will sweat, and you will slip if you’re not careful. Remember to listen to your body – if you start to overheat, lay down or go into child’s pose. Ideal for people who are looking for a fast-paced and challenging workout. I love Power Yoga because it is very fun, there’s usually music and lots of upbeat movement; however I feel like I don’t get as much of a spiritual connection in my practice. Power yoga is definitely intense and not ideal for people who have zero yoga experience because it is so rigorous. However, of all the types of yoga listed, this is the best workout. 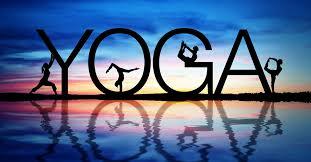 Ideal for people who want to take on a challenge, like to follow a specific routine, and have some yoga background. I recently started practicing Ashtanga and I am in love. For me, it really encompasses the cardio aspect of Vinyasa with the intensity of Power, so I definitely feel like I’m getting a tough workout, but because it also heavily focuses on breathing a and there’s a specific structure to it, I feel like I really get a strong mind, body, and spirit connection to it. Clearly, I’m a little biased here, but it’s just been such a beautiful journey for me. Depending on what kind of yoga you decide to practice, you’re looking at paying $10-$20 per class. Prices are usually better when you buy bundle classes. Don’t be afraid to look for discounts on Groupon! Lots of studios offer great deals for new students, and this is a great way to shop around until you find a studio that really resonates with you. If you can’t afford to pay for classes at the moment, search for places that offer free yoga. Most studios have one class a week that’s either significantly cheaper or totally free. This is perhaps one of the most important pieces of advice I can give you – find a studio as close to you as possible because let’s be honest you’re probably not going to make a serious commitment if you have to sit in 30 minutes of traffic just to get to your studio. That being said do not sacrifice quality for location, if the studio that you like is a little bit further than the one down the street, make the promise to yourself to put in the effort to go. Be realistic with yourself – if you know you are not the kind of person who will wake up at 5:00 a.m. to workout, do not pick a studio that only offers early morning classes. Look for a studio that fits your schedule, but also be willing to make compromises. Instead of 5:30 happy hour drinks, switch it up for 5:30 happy hour yoga. If you have a gym membership or are in college, more likely than not they offer classes, so take advantage of them! However, keep in mind that classes may not be as deep at an LA Fitness as they might be at a studio that focuses on yoga only but don’t let that discourage you! You get from your practice what you put into it. When you’re first starting out, unless you’re rolling in dollar bills, don’t go out and buy an expensive mat. For people starting out, I would suggest buying a $20-$25 Gaiam Mat from Target. That might seem a little steep, but it’s really good quality for the cost. Once you really get into yoga you can consider upgrading to a Manduka or Jade, but a Gaiam will treat you as well as you treat it. Unless you plan on starting a home practice (stay tuned for a post on this sometime soon! ), you don’t need to buy any props like blocks or straps because your studio will provide them. If possible, bring a towel to stretch over your mat and to wipe your sweat off because some classes can get intense! Some forms of yoga discourage drinking water during practice, but when you first start out, I recommend to bring a water bottle-just in case. Yoga pants have a reputation for being awesome because they’re super comfy, so if you own a pair go for it. Don’t wear anything that’s so tight it restricts motion. Avoid wearing clothes that are too loose because they can get a little annoying when moving around during class. The most important thing is to feel comfortable during class. If you’re fine in just a sports bra and leggings, go for it, but if you’d rather wear a t-shirt and gym shorts that’s fine too. Find your happy place, the yoga matters a lot more than the clothes. Avoid wearing your hair down, the most efficient styles include braids or the ever-popular yoga bun. Also, skip the makeup if possible because you’re probably guna sweat it off anyways. Some guys are totally into doing tiny shorts, personally it makes me a little uncomfortable when I see a guy in class wearing just a speedo, but like I told my ladies – wear what’s comfortable for you! I don’t recommend wearing baggy sweat pants because they will be hard to move in. Your best bet besides buying the male version of yoga pants (google them-they’re awesome), is gym shorts and a comfy t-shirt or bro tank. Be mindful of other students, come in quietly, and focus on your own practice. Listen to the instructor – they know what they’re talking about. Listen to your body, if you start feeling dizzy, take a breath, if you start feeling dehydrated drink some water. Commit to your practice, it’s important to be consistent! Begin with classes once or twice a week and gradually increase your practice as you see fit. Take the Savasana – the last part of class is meant to restore you, so enjoy laying down in peace and feeling the after-effects of your practice. Arrive early enough to set up for class – it is very rude and disruptive when a student walks in 15 minutes late. Wear perfume, cologne, or scented lotions. Compare yourself to other students – you are working on being a better version of you, not better than everyone else. Be afraid to push yourself – skate your edge, however, know the difference between going deeper into a pose and pushing yourself to the point of severe pain. Bring your cell phone into the classroom. Yoga is about letting go of the outside world and delving into your inside world which is hard to do when your cell phone is right by the mat. Eat 2-3 hours before class – it’s hard to focus on your practice when your body is in digestion mode. Leave a mess – be mindful to the studio and others. If you borrow a mat, wipe it down, if you use a prop, put it back where it goes. Yes, this was a long post, but I wanted to give you guys as much information as possible! Beginning a yoga practice is one of the best things you can do for yourself, so don’t be discouraged by lack of knowledge, so I hope this post will help serve as a guide to all you wanting to start practicing yoga. Feel free to share with others! If you have any more questions, comments, or concerns, leave a comment or send me a message via the contact me link on the website. Sending you all good vibes, love, light, and blessings as you embark on this beautiful journey.